Dear aspirants, we came with a new recruitment notification which is released by Karnataka Rural Infrastructure Development Limited. Finally, the KRIDL Recruitment 2017 Notification is out. The KRIDAl officials are going to recruit talented job seekers for 91 Assistant Engineer, Work Inspector, First Division Assistant, Second Division Assistant, Clerk, Stenographer, and Others Vacancies. So, we suggest all the applicants before going to fill the application for it is required to refer the important data which is provided in this article. Candidates who are willing to applying for KRIDL Recruitment 2017 those candidates must complete their Intermediate or +2 examinations / Diploma / Graduation Degree or equivalent examination from any recognized University/ Board. The application process starts from 25th October 2017. And the Karnataka Rural Infrastructure Development Limited has received the online application form until 24th November 2017. Job Fighters who are interested in Assistant Engineer, Work Inspector, First Division Assistant, Second Division Assistant, Clerk, Stenographer, and Others Vacancies this is the best chance. So, make use of this chance and apply for KRIDL Jobs 2017 before the last date that is 24th November 2017. This is a correct place to the applicants can find all the stuff related to Education Qualification, Application Fee, Age Limit, Selection Process, and Salary Details. Want to know more stuff about KRIDL Recruitment 2017 then simply scroll down this page and collect them. Also, you can refer the official website of Karnataka Rural Infrastructure Development Limited (KRIDL). Candidates who are applying for KRIDL Recruitment 2017 Notification those candidates age limit must be 18 Years to 38 Years. While coming to the Age Relaxation refer the advertisement. We urge all the aspirants before filling the application form you have to refer the KRIDL Jobs 2017 Notification completely. The Karnataka Rural Infrastructure Development Limited is going to conduct the Written Examination, Practical Test, and Viva Voce for applied contenders. Interested candidates can check this article and apply for KRIDL Recruitment 2017 Notification before the last date. All the required information is clearly provided on this page. So, candidates who met the educational qualification they have to download the application form and fill the required details and submit before the last date 24th November 2017. Aspirants who looking for Karnataka State Government Jobs 2017 they have to apply for KRIDL Openings 2017. The organization is ready to fill up 91 Posts for Assistant Engineer, Work Inspector, First Division Assistant, Second Division Assistant, Clerk, Stenographer, and Others Vacancies. We request each and every applicant verifies the details whether you are suitable for this vacancies or not. At the edge of the article, you can find official advertisement notification. While checking the complete article candidates can know the complete information about KRIDL Jobs 2017. Are you looking for Karnataka Government Jobs? Then apply for latest KRIDL Recruitment 2017 Notification. The provided data is officially released by Karnataka Rural Infrastructure Development Limited authorities. The General/ 2A/ 2B/ 3A/ 3B candidates must pay Rs.500/-. And remaining SC/ ST/ PWD/ Ex-S/ Category-1 people have to pay Rs. 250/- as application fee. In this article, aspirants can check Age Limit and Age Relaxation, Application Fee, Selection Process, Education Qualification, Post Wise Vacancies Details, Important Dates information. The candidates who got placed in a Karnataka Rural Infrastructure Development Limited they will receive Rs. 10,400 to Rs. 43,200/- Per month. The organization is offering a good salary for the applied candidates. So, after completion of the application process start the preparation. 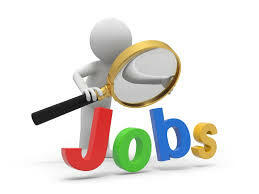 On our website, all the job seekers can find latest details about Job Notifications. Visit our website sarkarirecruitment.com and check more updates. Also, candidates who want to know more stuff about Karnataka PSC Jobs 2017 they have to bookmark our website. Candidates who want to get more information about KRIDL Recruitment 2017 those aspirants must visit the official website of Karnataka Rural Infrastructure Development Limited (KRIDL) and check more updates. On this page, we are providing entire details is officially released by KRIDL officials. The Post Wise KRIDL Recruitment 2017 details is provided on this page. Applied aspirants candidates must complete their Intermediate or +2 examinations / Diploma / Graduation Degree or equivalent examination from any recognized University/ Board. The Maximum Age Limit is 38 Years. The Upper Age Relaxation is as per Karnataka Rural Infrastructure Development Limited norms. The candidate’s selection process will be purely based on Written Examination, Practical Test, and Viva Voce. Candidates who clear the written test they will be called for next rounds in the selection process. The General/ 2A/ 2B/ 3A/ 3B have to pay Rs.500/-. The remaining category candidates must pay SC/ ST/ PWD/ Ex-S/ Category-1 Rs.250/-. Also, refer the official notification. The selected aspirants will receive Rs. 10,400 to Rs. 43,200/- Per month. The KRIDL organization has delcared good payscale for selected aspirants. First of all interested candidates must visit the official website of Karnataka Rural Infrastructure Development Limited kridl.org. Now search for KRIDL Recruitment 2017 Notification. Open the advertisement and read the entire details. Fill the details and recheck the given data. Recheck the provided information and press on submit button.